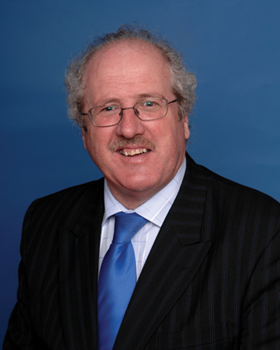 Strangford MP Jim Shannon was elected to Parliament in May 2010. He previously represented the constituency as an MLA (1998-2010) and in the Northern Ireland Forum (1996-1998), and was an Ards borough councillor for the Peninsula area (1985-2010). A former butcher, Jim is the DUP’s Westminster spokesman on health and transport. 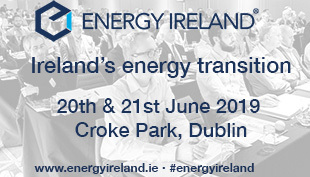 He is married to Sandra with three sons, and lives on the family farm outside Greyabbey. Briefly sum up your first year as MP. This year has been a year of change and on my first couple of journeys to Westminster I felt slightly like a school boy in his first year of school. I have been so assured in my political career and this was certainly a new and very large step across the pond. However, I am in stride and the trips across the pond are frequent and rewarding. I have spoken in over 110 debates since my election last May, have tabled motions on the fishing industry and support for armed forces as well as focusing on my health portfolio as DUP spokesman. I am a member of the Protection of Freedoms Bill Committee and am the only non-English member of the Health and Social Care Bill Committee, and have tabled amendments to the parts of the Bill which affect Northern Ireland. 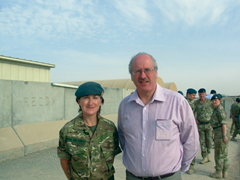 I have taken great pleasure in my membership of the Armed Forces Parliamentary Scheme and was asked to travel to Afghanistan where I met various constituents serving Queen and country in a country which I will never forget. I have been labelled by the English MPs as being assiduous and I will continue to be tenacious and free-speaking whilst representing the interests of Northern Ireland as a whole and Strangford in particular. My year was a good year, but I look forward to making even more changes for the better of Northern Ireland now that I am more familiar with the system in which I work. How does the political atmosphere differ between Stormont and Westminster? The difference is startling and tangible. I believe that a lot of it boils down to the difference in backgrounds of the MPs from all over the UK. The easy rapport that is evident in Stormont between the 108 MLAs, whereby you know everybody and they know you very quickly, is nowhere near the same in Westminster with 650 members. There is a very structured pecking order and it is only by determination that I have involved myself so completely in the workings of the House as it would be very easy for the smaller parties to be swallowed up. However, anyone who knows the DUP knows that we are good at being heard. The differences are vast – but not insurmountable. Health is mainly devolved. How relevant is your post as spokesman to Northern Ireland? As the only non-English member of the committee for NHS reform, I believe that I am playing an essential role in the ripple effect for health in Northern Ireland. Although healthcare is devolved to a large extent, as with most areas, Westminster has retained some aspects of control and indeed in the committee I liaised with various health care professionals from Northern Ireland and put forward vital amendments to the section which concerned Northern Ireland. Had I not been in that position, Northern Ireland would have been greatly affected by the reforms. It must be remembered in politics that not all issues are brought through the front door and if we are to assume that health is devolved, we would find to our detriment that Westminster still has enough control to make a real difference to us on the ground in the province. How relevant is Westminster to your constituency on an everyday basis? The relevance and links between Westminster and the everyday life of Strangford is strong in a two-fold manner. Firstly, it is clear that the decisions made in Westminster affect everyday life such as the proposals to change disability living allowance, to change tax credits, to change national insurance contributions – ask any constituent and one of these will apply. My job is to ensure to the best of my ability that these are not adversely affecting my constituents. In Strangford in particular we have a high level of military service, which is solely handled at Westminster and it is essential that I am there to represent all of those who are there to represent us on foreign fields. The second matter is that with the House of Commons crest on my letters, there is certainly a more dedicated and efficient response from departments for the everyday issues that my constituents are struggling with and that I deal with, and this is undoubtedly relevant to my constituents. What are your main interests outside politics? I am a dedicated country sports enthusiast and thoroughly enjoy going shooting with my son when time allows. I have been blessed with a granddaughter Katie-Lee and any time spent with her is always joyful, as is the time spent in my church. Everyone knows that I am an avid Northern Ireland football supporter as well as a keen Ulster Scots enthusiast and I enjoy spending time reading about our history. However, my passion is for Strangford – not merely in a political sense but in helping the people who have placed their trust in me.